1960S: Young Woman Uses Springboard To Mount Balance Beam From End Of Beam. 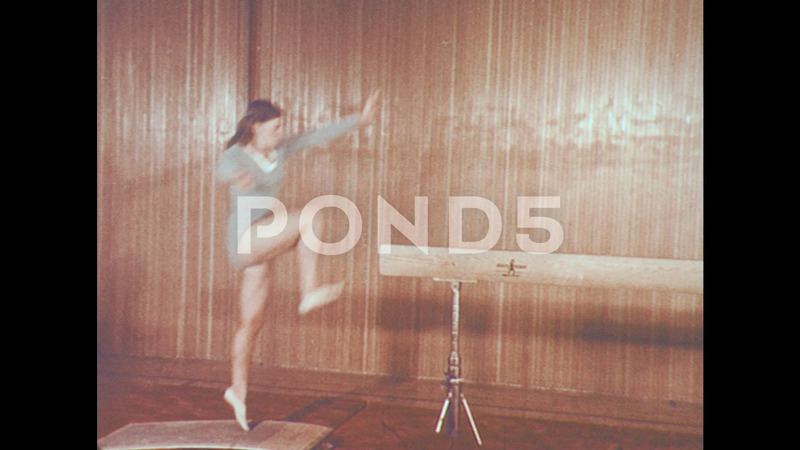 Description: 1960s: Young Woman Uses Springboard To Mount Balance Beam From End Of Beam. Young Woman Walks And Hops Across Beam.